What’s the best free software for filing taxes online for 2018? Not much is free these days, and some would even go as far as saying nothing is free. You know that sign you saw for a free lunch? Well, it probably requires that you either sign up for something, or purchase a timeshare in Florida. In fact, if you’re using the “free” Wi-Fi at the local coffee place, they’re probably giving you the evil eye if you haven’t ordered anything yet. Of note: each of the three companies charge extra for state efile, although the Federal is free. Also, each one has a download, or online version, each with their own system or braowser requirements for Mac or PC. Great for simple returns, first time filers and students in particular. Very simple returns will find this free version the most user-friendly, and full-featured, even if you’re claiming dependents. I really like how it walks you through what can be an intimidating and stressful process. Note that the Free Edition probably isn’t right for you if own a home, so you’ll need to pay up for the deluxe or premier edition to take advantage of the available tax credits and deductions associated with home ownership. And the icing on the cake for this free edition is that they’re currently offering to add a 5% bonus to your refund (when you use $100 increments of your refund to purchase an Amazon gift card). Pros: The running theme amongst the 7,000+ reviews is “extremely easy and super fast”. 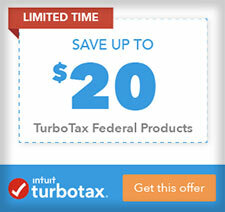 Personally, we use TurboTax each year and can attest to those reviews. It is easy and fast to file. Even though you’re getting the software for free, you still get tech support by live chat, and can import W-2 income data. Cons: Really this version is only for those filing 1040EZ or 1040A forms. Also, TurboTax won’t import last year’s return, as they do with their Deluxe Edition. Also, in most cases they will encourage you to upgrade. One thing to note, if you’ve filed before and are wanting to import last year’s data to save time and key strokes, you’ll need to pay up to the Basic Edition for $19.99. Unfortunately I was having trouble reading the thousands of reviews on their site, as they seemed to just display the positive ones. However, they did garner an average of 4.7 out of 5 stars from their users, which is pretty good. If you’re a worrier or simply want the added audit protection, this is your company. Pros: One thing that H&R Block offers that the others don’t is “free in-person audit support” – God forbid that should occur. Cons: You can’t import last year’s taxes or W-2’s, and little investment support for deductions or capital gains. Absolutely free federal returns for everyone. No restrictions. From the simplest returns to the most complex, this software allows you to prepare and file your federal return online for free. I kept looking for the fine print on this one, but only found more proof that this company really does offer free federal self-preparation & efiling for everyone, no “catch”. 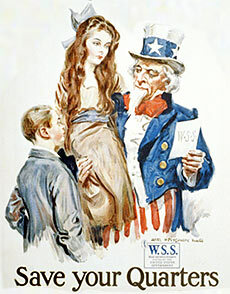 To quote directly from the site; “Free to prepare, print and e-file your federal return – no gimmicks, no restrictions. All e-file forms for simple and complex returns”. This software is for the ultimate DIY tax person, and can be downloaded, or used directly online through a browser. Whether you own or rent a house, have investment income or life changes, doing your own taxes online for free is right here. Although they don’t display reviews on their site, they get high marks on bizrate, with an overall satisfaction of 9/10. Pros: TaxAct allows you to file more complex tax returns. They also have a support center for tax questions, but you’ll need to pay if you want to talk to a professional on the phone. You can also find a coupon to drop the price an extra 25%. Best free tax preparation software online? And the award for best free tax software online goes to… well, Although I’m partial to TurboTax, ultimately that’s up to you. Each software has it’s own advantage. After writing this article, I’m tempted to try out TaxAct this season. They really took me by surprise, actually, and they do have the cheapest state tax filing fee as well. Having said that, I do like the option to upgrade software that you get with H&R Block and TurboTax if your tax situation evolves next year. Anyway, as they say, “there’s no such thing as a free lunch,” so all of these companies, except TaxAct, encourage you to upgrade to a version of their software that you must pay for during the online e-file process. While all three of these popular tax prep names offer a free version, you’ll still have to contend with paying to file your state taxes. 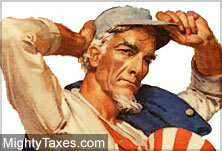 Absent of any coupons, TaxAct has the cheapest price for state tax filing at about $15! Hi, I'm Kevin McCormick. I graduated from Rutgers U., and now live in Philadelphia with my wife, three kids, and a dog. I enjoy blogging in my free time, especially about finance and the history of taxation. Thanks for stopping by Mighty Taxes! ★ Jackson Hewitt Discounts: 25% Off! ★ QuickBooks Coupons: 50% Off! Thanks for stopping by mightytaxes.com! Check out our latest tax tips, our exclusive coupons for tax prep software from TurboTax, H&R Block and TaxAct, as well as their latest free versions.